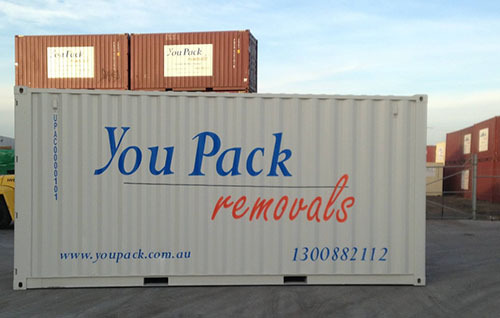 Container Removals Are Affordable | You Pack Removals ""
HOME / Container Removals—the most affordable way to move interstate. Container Removals—the most affordable way to move interstate. Imagine the day when you move house; you wake up at the crack of dawn to start prepping boxes for pick up, you spend all day packing up final possessions, you’ve got strangers walking in and out of your house all day and at 6pm when you want to relax, you’re faced with a mountain of boxes that were only just delivered. Imagine if you could change that? You Pack Removals™ are the long distance moving company with a difference, offering the use of shipping containers to customers for interstate relocations. The use of shipping containers allows customers to pack up their possessions at their own pace whilst our team of professionals take care of transport and delivery. container removals process begins with our dedicated team of consultants who will help you decide which container is right for your needs. Upon agreement and organisation of fine details, an empty container is delivered right to your home and placed in an unobtrusive location of your choice. At your own pace, you can pack up your possessions and fill up your container, referring to our Packing Tips along the way. When you’re finished, our driver will pick up your container and transport it to it’s new destination, allowing you to unpack it in a stress-free manner. When the container is emptied, our driver comes back and takes the container back to it’s home at one our centrally located depots. We have been awarded as best and cheap interstate removalists servicing Australian house holds and businesses. On top of this service, You Pack Removals™ offers storage solutions for containers that just can’t be emptied right away. For more information on any of the above services, get in touch today.